Detroit Supreme is an heirloom improvement of the variety Detroit Medium Top. It has better disease resistance, smoother skin, and lovely blood red flesh with glossy green tops. It's a good "pick" for your garden. Beet, Detroit Supreme is rated 3.5 out of 5 by 2. Rated 4 out of 5 by Texas Al from Taste great! 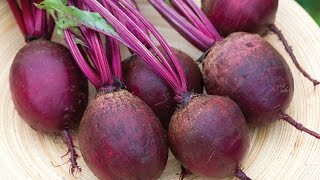 Live in Texas, beets were slow to germinate, 17 days or so probably due to the heat. But, they all seemed to pop. Beet root was a bit small, but I need some phosphorus in my soil. All in all, happy with the seeds. Rated 3 out of 5 by Peter1142 from Not doing great These beets grew top heavy and were unable to hold themselves quickly. 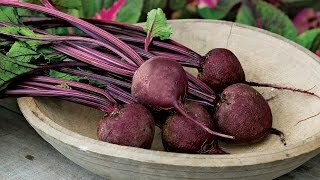 They are not producing much in the way of beetroot, and many are continuing to die for unknown reasons. Maybe my soil is just not working for them, but I would not buy this variety again. If I am lucky I will get about 5 small beetroots from 15' of row.